I'm bumping the post I had scheduled for today because I can't wait to share these fun little popsicle stick sleds I made! I'm using 3 of them as tree ornaments, the rest will probably end up tied on a Christmas packages. Truth be told -- I think they'd look adorable on the front of a Christmas card or as favors at a Christmas party too! 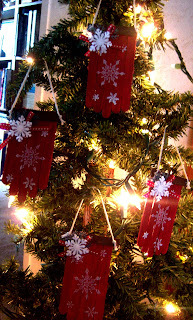 I love the look the stamped snowflakes give the sleds....I used white pigment ink to stamp them with. 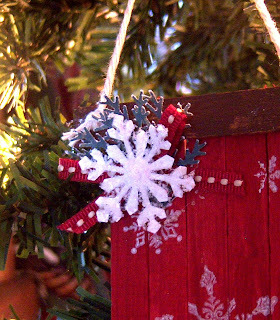 Here's a closer view of the snowflake arrangement in the top corner. 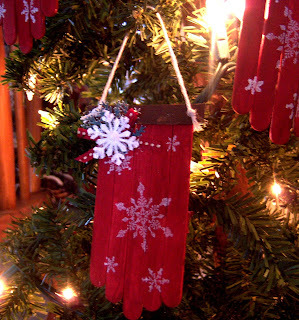 I used the branch punch (Martha Stewart), a bow, and snowflake punch to dress it up. 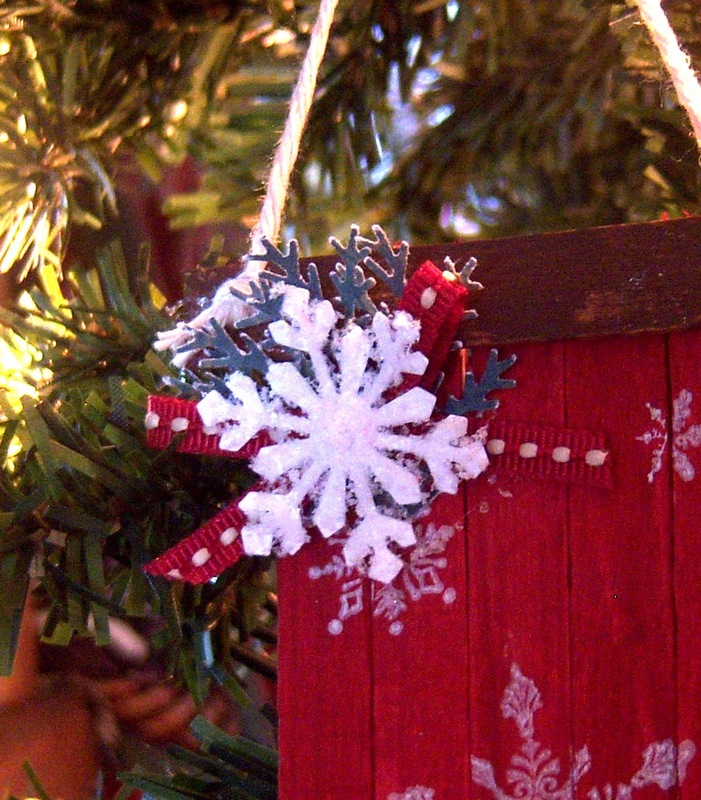 I also added some homemade white flower soft to the snowflake for a frosty impression. They're adorable!! I may try a scaled-down version of this with my kids if they need a project to keep them busy this month. I am so excited that you gave me one. I have it in my kitchen!! These are super sweet! Pinning! Wow! How adorable! May I ask what adhesive you used to stick them together? 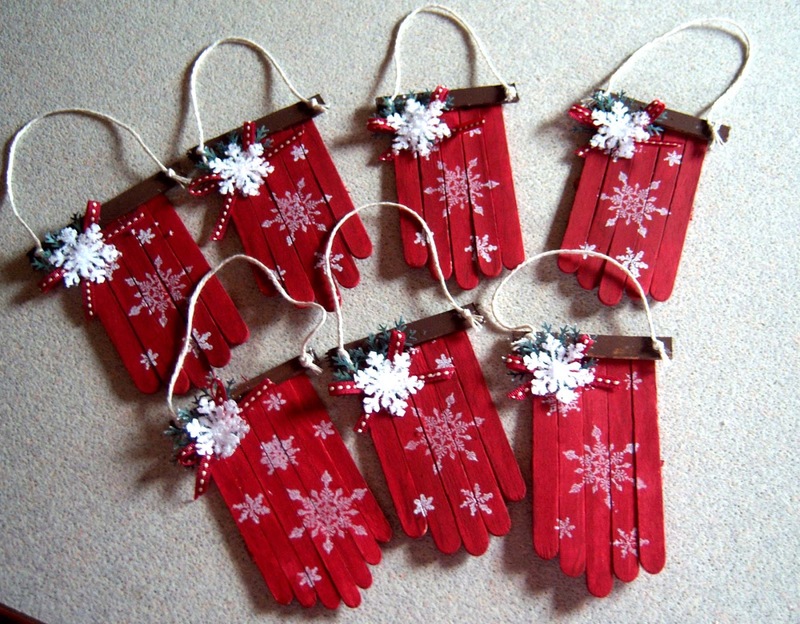 They look great on your tree and love the idea of putting them on cards.Maye on a wreath too. These are so cute. My kids want sleighs and we don't have snow around here. The little sleds are so cute I'm gonna have to make some. Hope I have some red paint. The extras you put on them make them so special. Could use them in so many ways. Ah another project to make tomorrow or the next day. Now where are all those sticks I have? 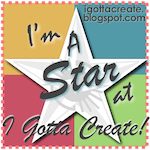 I'm back because I'm shining the feature spotlight on you and your cute little sleds! Love them, Esther! They will be adorable tied on packages as well as on the tree. I like the snowflakes on them, too. 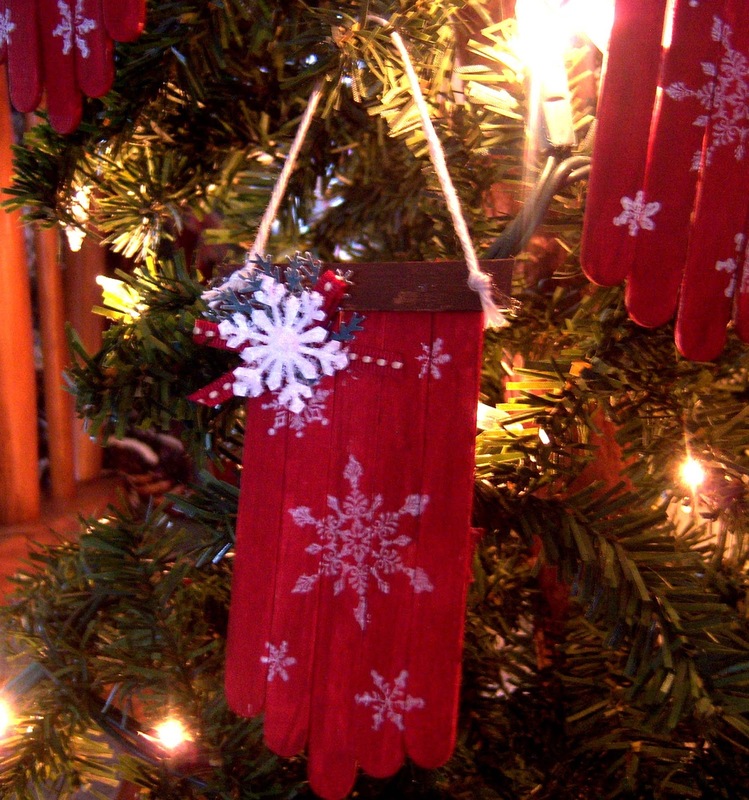 Very cute, would look so cute hanging on the tree!